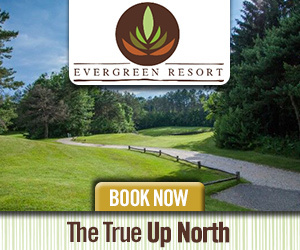 Evergreen's 9-hole Norway Course is ideal for casual golfers and beginners, or for those who just want a quick game. We also have resident golf pros that are available to help newcomers sharpen their skills. 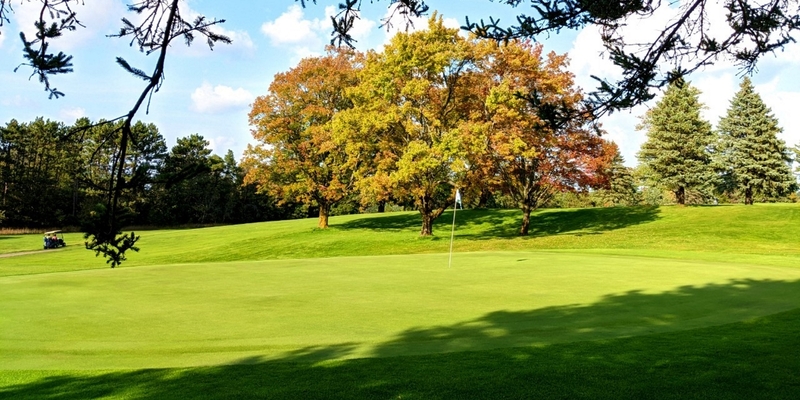 Be sure to check out our excellent golf packages, group outing services and special events. Learn more about our rates and membership below. Rental clubs are available. "As a veteran golf professional, I've worked and golfed at some of the best courses in the country. 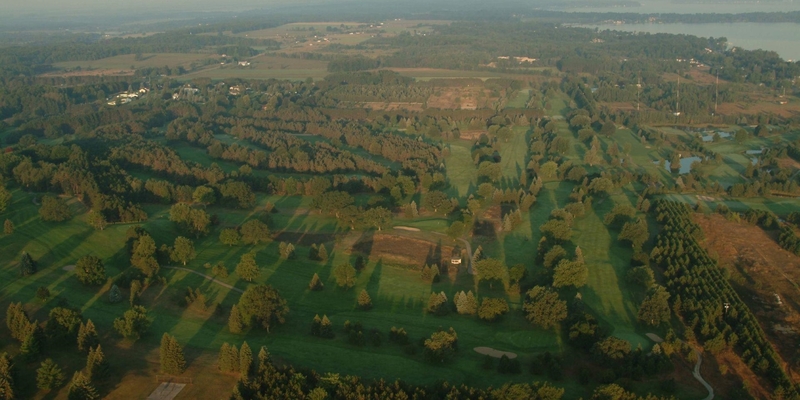 Not only is the setting at Evergreen Resort beautiful, the courses provide tough challenges most golfers are looking for." Please call 231-775-9947 for current rates. 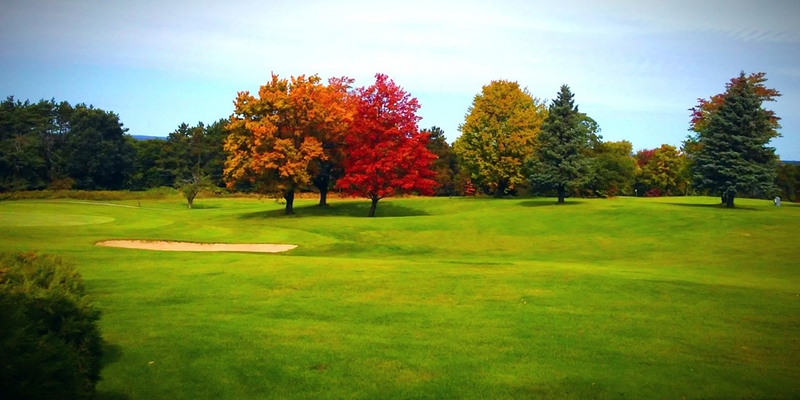 Call 231-775-9947 for rates and tee times. Contact Evergreen Resort at 231-775-9947 for more information and details on holding a golf outing at the course. Imagine celebrating your wedding at our picturesque resort, nestled among 327 acres of pristine forest in northern Michigan. Whether you want a small, intimate ceremony with family and friends or a grand celebration in our elegant Cadillac Room, Evergreen Resort has everything you need to make your dream wedding a reality. Couples marrying in the summer can celebrate outside with up to 200 guests, surrounded by the lush landscaping and natural beauty of our property. We can also accommodate up to 125 guests in our Cadillac Room or 100 guests in our lovely Wexford Room. At Evergreen Resort we specialize in both the "intimate quaint" weddings and the "Grand Productions" with all the amenities. Our Professional Wedding Planner can customize every detail to suit your budget and your lifestyle. From catering services to romantic honeymoon suites, we know how to make your vision come to life. 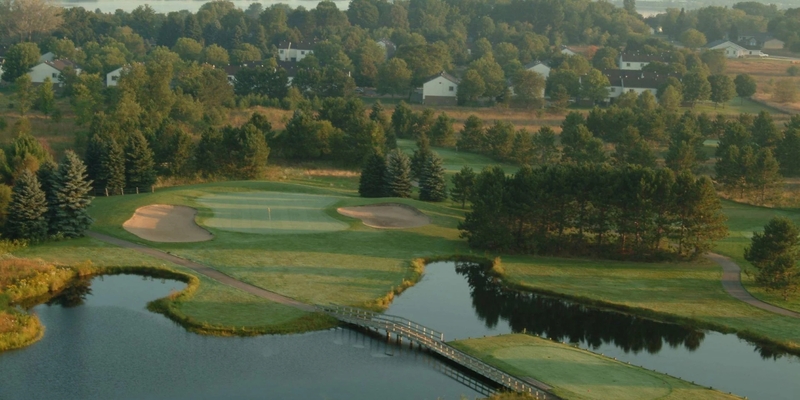 At Evergreen Resort, our guests sleep in comfort and wake up rejuvenated and ready to golf or explore the area. That's why each of our 117 rooms and suites were designed with maximum relaxation in mind. 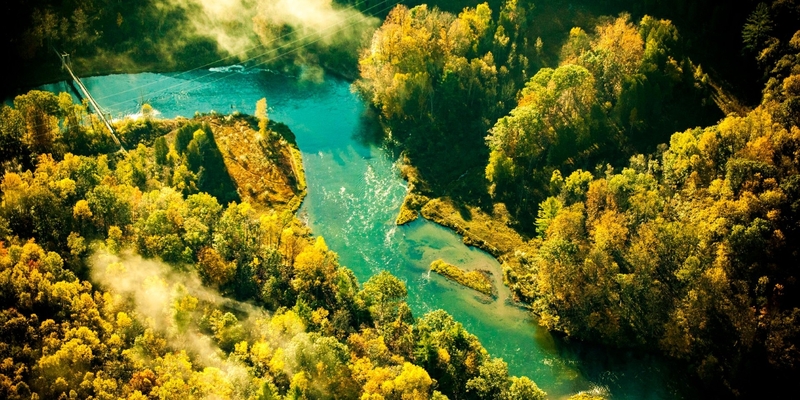 * Large renovated rooms with comfortable beds. * Complimentary Wireless internet access. * Small refrigerators and microwaves. * Complimentary hot breakfast buffet for overnight guests. * Free parking with plenty of room for your semi, RV, or trailer. Golfers will find their guestrooms so close to our Spruce Golf Course that they can practically swing and hit the first hole from their beds! Evergreen Resort is pleased to provide on-site dining options - one new for 2017! The former Terrace Dining Room has been transformed into a completely renovated restaurant featuring a local/regional flair. Each morning the restaurant is the location for our beautiful Hot Breakfast Buffet that is complimentary to each hotel guest. A full menu is available for lunch and dinner. Sunday morning we host our famous Sunday Brunch that offers many house specialties. Curly's Bar and Grill is our second location for meal service with 7 large Flat Screen HD TV's to watch your favorite sporting event. We have daily lunch and dinner specials that are available for your dining pleasure. Friday evening we have karaoke for those who wish to live as a rock star for the evening. We also have our Snack Shack located at the turn on the golf course that offers lunch, beverages and snack options. This profile was last updated on 02/07/2018 and has been viewed 13,306 times.